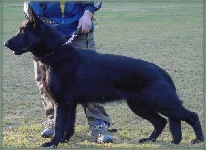 We would like to stress that Van Den Heuvel K9 will take the time that is neccessary to make certain that we have a very clear understanding of each of our clients needs, whether they are interested in a puppy or fully trained import for Executive, Estate, family security, or sport, or a puppy or fully trained adult for the work as a Dual Purpose K9. All points are covered not only with each of our client's lifestyle, but also specific requirements and temperament needs that they would like to have present within their new K9's temperament will be extensively covered as well. We specialize in providing the soundest individuals in overall structural integrity, as well as the highest possible quality of temperament type and instincts. Unfortuately many of the majestic qualities that make the German Shepherd Breed all that it is well known for,have been lost in many of the varying bloodlines seen today. We have made absolutely certain that we preserve the breed in its original integrity, overall instincts, correct working structure, as well as the highest possible quality in temperament type on all levels because only the strongest proven longstanding working bloodlines are ultilized within our facility. Thank you for taking the time to visit our website, and we will look forward to hearing from you. Will my new Executive Family Companion Security Import travel well? side to loyally protect and serve you in any given location. 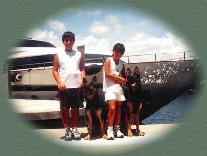 Pictured to the right, you will see Car and Ory with their new family members ages 9 and 12 by their yacht. 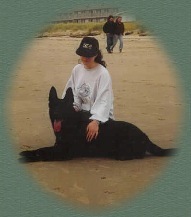 Car and Ory were imported by Van Den Heuvel K9 for family companion protection. They travel on a consistent basis with their new family members. How are the Executive Family Companion Security Imports raised and trained? Will they be well behaved within my home? 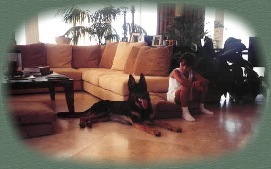 Van Den Heuvel K9 selects perfectly balanced, highly obedience and protection trained individuals to live within your home with your family in a harmonious manner. Each individual that is selected will be matched to your specific needs and lifestyle. The imports that are placed within the family enviornment, have been raised within the home from the time they were a puppy and then trained by the most experienced World Class European handlers. To your left, Car is pictured within a 32nd floor penthouse in Adventura, Miami. Van Den Heuvel K9 has become an internationally acclaimed kennel Worldwide. We have raised the standards within the World Class Workingline German Shepherd Breed by extensively researching and only importing/breeding the finest Working German Shepherd bloodlines. As a result, we are importing and breeding the truest representatives for the preservation of The Breed. How do I know I will receive the ideal trained import adult for my needs? We take the time that is neccessary to make certain that we have a very clear understanding of each of our clients needs, whether they are interested in a puppy or fully trained import for Executive, Estate, family security, SchH/other sporting fields, or a puppy or fully trained adult for the work as a Dual Purpose K9. 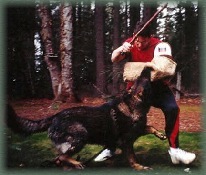 Do you import fully qualified K9's to preform specilized police work? Our facility is able to provide police departments across the country and Internationally with excellent fully trained Dual Purpose, Single Purpose, as well as fully finished Bomb Detection Dogs. For the convience of our Departments and Individual officers, we have provided some examples of excellent Dual Purpose K9's, at work on video clips, preforming realistic protection indoors on slick surfaces, as well as detection footage. Do you Import Highly Titled or High level prospects for National, International Sport, or club competitions? We consistently import excellent prospects and dogs that are already extensively titled for all levels of sporting competition. We ask that you specifically inform our facility of your level of experience, so that we are aptly able to provide you with the correct Sport dog for your level of experience. We also request that you let our facility know in great detail, what your future competition plans will be, and if you will be ulitizing your competition female/male within a working dogs breeding program. 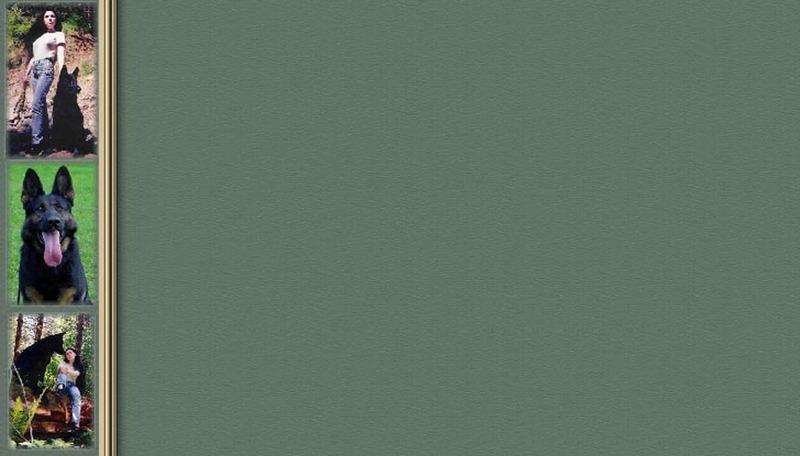 Please view example videos to your left. 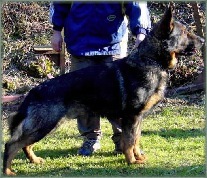 Do you import proven stud dogs and breeding females for the improvement or addition to a working dogs breeding program? Do you also import young prospects for working dogs breeding programs? We have imported a number of excellent stud dogs and breeding females for several individuals and kennels Worldwide to enhance the strength of their working dog's breeding programs. These individuals will sport a variety of working titles, full bonitacions, hip and elbow ratings, and detailed information regarding their previous offspring if they are proven. If we have selected a young prospect for you, and they do not yet have their titling or bonitacions completed, this is also a service that may be provided for you upon request. Pictured below are a solid black 13 month old female that we imported for our clients Mr. and Mrs. Oxendine. 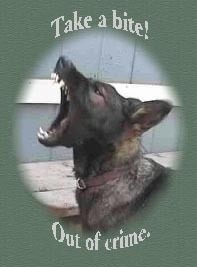 Cherie will be utlized in their future working dogs breeding program. Gary is a gorgeous 16 month old titled stud dog that will be further titled in Europe before he is imported by our facility for top level competition and a working dogs breeding program. Congradulations to Julie and the Oxendine's on their new imports!